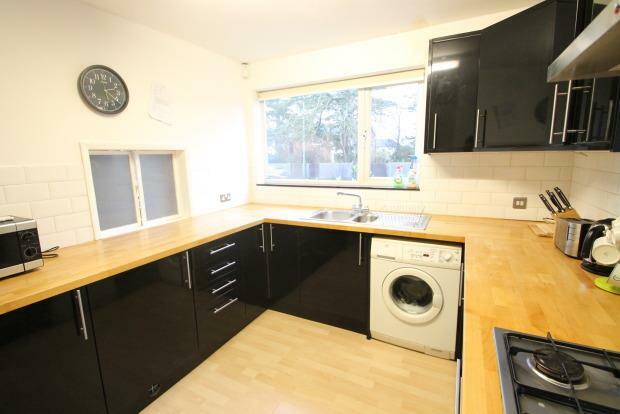 2 Bedroom Flat To Rent in Beckenham for £1,300 per Calendar Month. and tram link with Beckenham town centre also just a short walk away. The property features a modern fitted kitchen with appliances, two double bedrooms, tiled family bathroom, large reception room and separate W.C. Other benefits include communal gardens and off street parking. Available end of april or begining of May. Reduced tenant fees if moved in this month. Beckenham is one of those areas where you still retain the feel and atmosphere of a village whilst living on the outskirts of one of the most popular Capital cities in the world. The roads are generally wide and tree lined and the local parks are very popular with families. Beckenham is served by several train stations providing excellent links to London with frequent trains into Victoria, Blackfriars, London Bridge, Cannon Street, Waterloo, Charing Cross to name but a few. It is also possible to link up to the DLR from new Beckenham Station. The Beckenham to Wimbledon Tram Route is also a popular source of transport for locals and visitors alike. Beckenham High Street offers many small boutique style specialist shops in addition to some high street brands. The Glades shopping centre in Bromley and the impressive Bluewater shopping complex are also within a short drive. There are numerous restaurants and bars to cater for every taste including American, Chinese, English, French, Indian, Italian, Mediterranean or Thai food. You can choose to quaff a pint of ale in one of the historic pubs, or sip champagne and oysters in a fashionable wine bar. Within the London Borough of Bromley the schools are all of a very high standard and many people move into the Borough to gain entry into specific schools. Beckenham has several recreational facilities and plenty to do for all ages ranging from Soft Play to Green Bowling. Beckenhamâ€™s Spa offers a pool, sports hall, gym, sauna, a children's play area, squash courts, aerobics studio and much more! The David Lloyd Leisure centre offers a wealth of classes for those wishing to keep toned. Those who are less energetic can visit The Studio which runs a full programme of music and arts events, or can visit the Odeon Cinema or the library. Available Beginning Of May 2019!